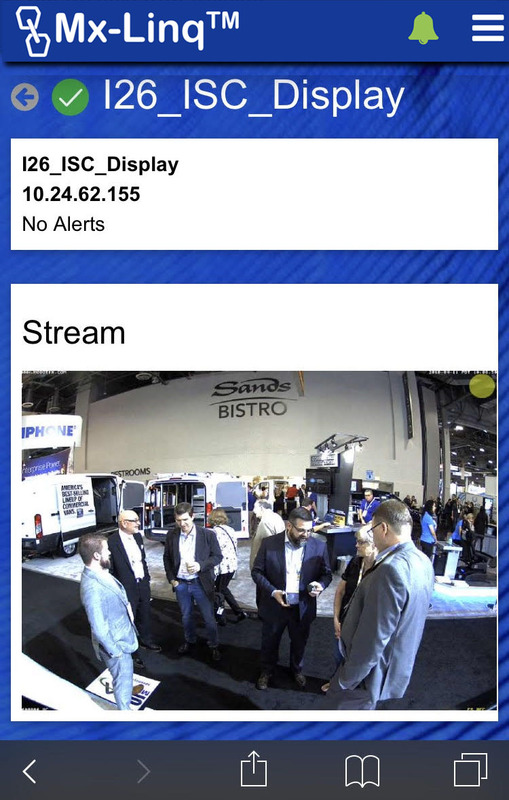 We were beyond excited to be present at the MOBOTIX booth for this year's ISC West. Not only did we debut Mx-MSP™, the RMM platform for MOBOTIX partners; but we crammed many late nights to finish our new Companion App - Mx-Linq™! This new app was completed just the night before the show, so we would be able to share this exciting new feature with customers at the booth. So this is "fresh off the press"; even the team at the show hasn't seen it since it finished. You should have seen the faces of the guys on the floor when I sent them an iMessage with a screenshot of them from the plane on the way to Vegas an hour before landing. see all their cameras in action. Check it out and give it your personal touch by adding your own logo and colors. Mx-Linq™ willl be launched showing Alerts, My Cameras and My Projects with more features to come, so stay tuned for more on Mx-Linq™ and IPTechLinq™ solutions for ABP Technology Resellers. If you are a Reseller or Integrator and want to try this for yourself, call ABP to sign up to become certified in Mx-MSP™. If you are a MOBOTIX user and would like to know more, call us and we will connect you with a MOBOTIX Integrator that uses Mx-MSP™ and can give you and your team secure access to all your cameras in a breeze. Contact ABP sales and explain us your needs via calling 972) 831-1600 or email to sales@abptech.com with details.